Bei Reisen nach Bahrain erhöhte Vorsicht. Bahrain ist ein Land in Asien (West-Asien) mit etwa 1 Millionen Einwohnern und einer Landfläche von 665 km². Es liegen aus 6 verschiedenen Quellen Hinweise zu diesem Land vor. Exercise normal precautions in Bahrain. Read the Safety and Security section on the country information page. 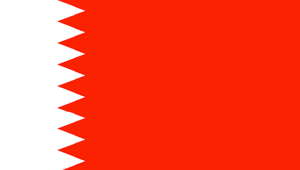 The Ministry for Foreign Affairs and Trade Promotion advises Maltese citizens travelling to Bahrain to exercise caution. Local security conditions have suffered a marked deterioration as a result of a number of violent incidents within the country. Therefore, you should avoid any public demonstrations or crowded places, as these could turn violent. There is currently an increased security presence in the country.